I have been very fortunate to have played a role in this industry and helped shape it’s growth. Computers found me at the early age of 7 when I started writing BASIC programs on my father’s TRS-80. By 1994 I was an avid gamer and had developed my first website working for a small ISP. Though I studied studio art, graphic art and Japanese, my career continued to pull me down the path of Interactive development using the Internet as the medium of my development. The next decade was a cube-farm vision of web development firms, then the department of defense and then finally I was invited to work for a special project team the CTO of AT&T put together called WebFactory. This gave me an opportunity to then work in Solutions as a technical sales executive designing and deploying large enterprise networked systems for Fortune 500 companies. Along the way I was fortunate to work at AT&T Network Operations and Engineering and learn and experience how the backbone of the world’s largest Network operated. Later I received the unique perspective of how Enterprise and Government use this network as a Solutions Executive working with AT&T’s largest clients. My positions gave me a unique perspective and Datacenter’s eye view into how to build at Scale systems and the types of problems driving bandwidth. In 2004 I saw a unique opportunity at the intersection of rising broadband and personal publishing and launched Vidiac, the first UGC social video sharing service and an early ancestor to the now popular YouTube. 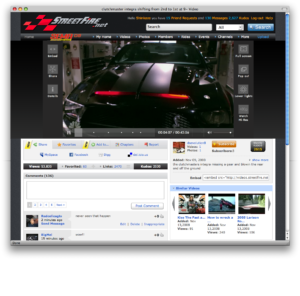 By 2007 we had 4,000 Saas Channels using Vidiac, but by far our strongest Channel was the one we owned and operated in the Motorsport space, so we launched funded and later sold StreetFire. Over a short run of 18months, StreetFire went Hockey Stick to 8Mmau reaching 42M total users in streaming a Billion streams on a software we had built, owned and operated ourselves. Determined to do it again, I pulled together some partners and started AutoStream which became DRIVE, using what I had learned to build a network of a half million subscribers. But my roots are in Interactive and the OTT video had largely evolved into a “YouTuber Streamer” market. So I moved to San Francisco, advising start ups in the community tools space, and built VRLab at Gamenest. 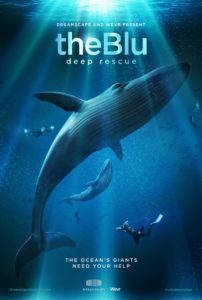 In 2018 I produced a multiplayer social VR Adventure for Wevr and Dreamscape, enabling 6 people to “step into a movie together” and save a Whale in VR. If you want to see what up to today, you connect with me on LinkedIn, Facebook or Twitter.